I think I need to re-write this entire chapter. What if I removed that character from this scene? Oh, I like that scene a lot better now! Nope, nope, nope, that scene was better before. This is wrong…but I don’t know what needs to happen to make it better. I’ve definitely had a variation of all these thoughts, and more, while editing my novel. I love editing. I think it’s a necessary and crucial step in turning your story into a complete work. It definitely makes you reevaluate your entire novel, which is a good thing. Sometimes when editing, I feel really good about the changes I’m making. I see what holes I may have left in the plot, or I see a clear way to make a scene sound better, and I can make the edits easily. But sometimes, I’ll write a scene three different times and still be unhappy with how it reads. When this second situation happens, I’ve found it’s best to not go over-the-top with editing. I may rewrite the scene a couple of times and see if I like one version the best. If I don’t, I may combine parts of each version together in one new scene. I like when that happens. Still, there are times when I keep trying to change a scene or a chapter but nothing seems to work. There’s this one scene toward the end of my novel that is leading up to the big climax of my story – it’s the events right before everything changes for my main character. When I wrote this scene a couple of months ago, I hated it. There was just something about it that I didn’t like, and I couldn’t make it sound better. So I decided to leave it alone, because I couldn’t think of anything better to write. About a month later I read it again, and I liked it. I realized it was actually written well, and though I made a couple of changes to it, the main parts of the scene didn’t need to be altered. It was best I didn’t go overboard with editing. I like to think of the process of editing as if I’m Goldilocks searching for the right bed to nap in. Too much editing, and I can overwork my story by changing too many things. Too little editing, and I’m not giving my story as much as it needs. 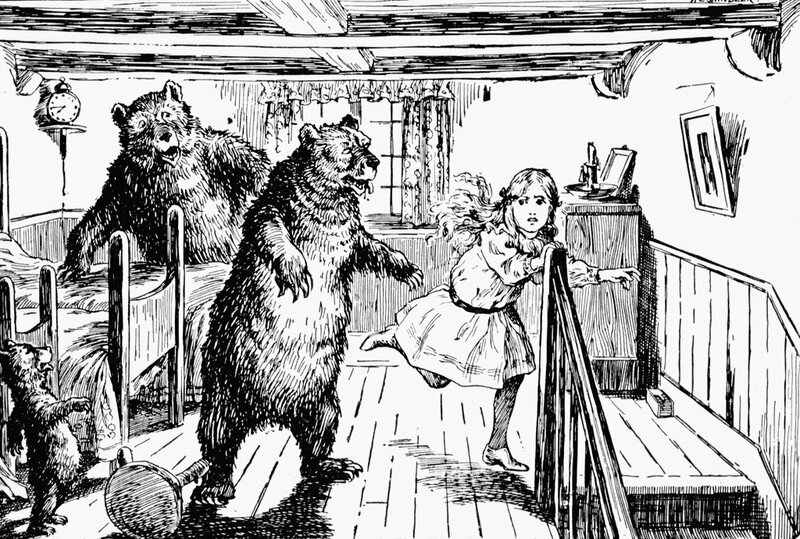 Just like Goldilocks wanted a certain bed, I need to find the amount of editing that makes my manuscript just right. Finding that balance is easier said than done, but it’s an important one to find. When you find it, I think that’s how you know your story is done. Or a family of bears will come home and kick you out of their house for napping in their beds. I’m not sure, I haven’t quite gotten there yet. One of the best things I ever did for myself as a writer was to get into the habit of keeping previous drafts of a stories and chapters for those times when my inner editor goes overboard and I need to refer back to what gave my writing life in the first place. Yes! I started doing exactly this and realized how much help it is.